Briefing is not just presenting a set of documents to the design team; it is a process of developing a deep understanding about client needs. 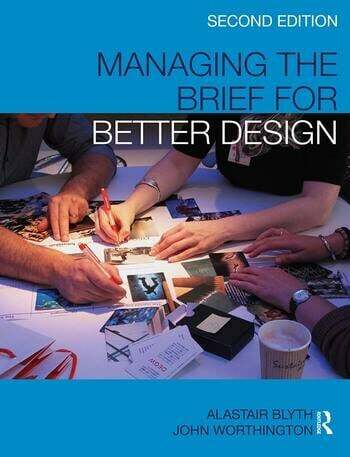 This book provides both inspiration to clients and a framework for practitioners. The coverage extends beyond new build, covering briefing for services and fit-outs. Written by an experienced and well-known team of authors, this new edition clearly explains how important the briefing process is to both the construction industry, in delivering well-designed buildings, and to their clients in achieving them. The text is illustrated by excellent examples of effective practice, drawn from DEGW experience, as well as five model briefs and invaluable process charts. Alastair Blyth is a policy analyst at the Organisation for Economic Co-operation and Development, Paris. John Worthington is Co-Founder of DEGW, London, the Graham Willis Professor of Architecture at the University of Sheffield, a Professorial Fellow at the University of Melbourne, and Director for Learning for the Academy of Urbanism.